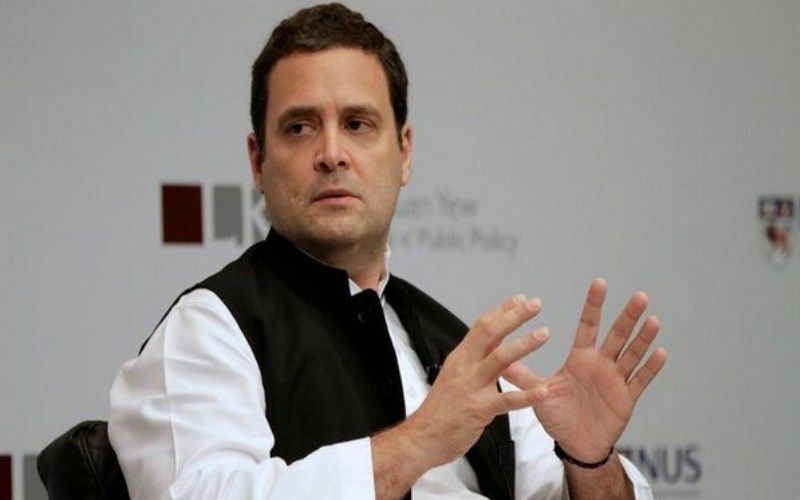 While his party binds the people of India, the BJP-RSS divides them and spreads hatred, Congress president Rahul Gandhi has said and alleged that women have no place in the RSS where they are treated as "second-class citizens". 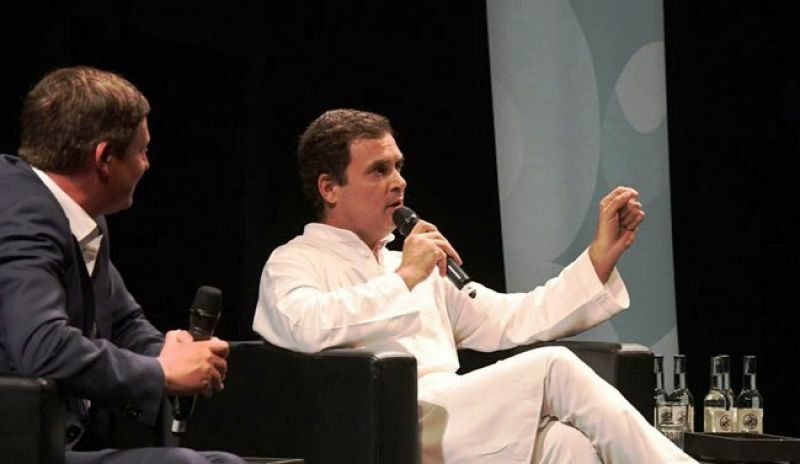 Addressing the Indian diaspora at a function organised by the Indian Overseas Congress in Berlin last night, he claimed the mood in the country is very divisive and the government is trying to impose a particular ideology on people while the Congress is fighting this tendency. Gandhi said the entire opposition is coming together and will not allow the BJP and RSS to destroy institutions of the country, be it the Election Commission, the Supreme Court or others. "The Congress belongs to all, works for everyone and our work is to spread the thought of unity in diversity. The government in India is working differently," he said. "The BJP-RSS people are dividing our own people. They are spreading hatred in our own country. Our job is to bring the people together and take the country forward and we have shown how to do it," he said. Talking about the BJP, he said the opposition is getting united. "There is no doubt...If the opposition gets together, there is no way that the BJP can win the election... "We are going to undo some of the damage that has been done. We are going to reinvigorate the institutions that have been attacked and damaged. We are going to create a situation where the Supreme Court can do its work. We are going to create a situation where the bureaucracy can do its work. "We are going to fix the damage that they have done. We are going to calm the situation in the country and we are going to take the country back to the point where everybody was happily working together," he told the gathering. He said the Congress' thought of "unity in diversity" came from the times of Guru Nanak Dev and is an inspiration from the first Sikh Guru. The Congress chief also said that though he disagrees with the prime minister, he "will not be abusive and will respect his position, even though the same may not be true" about Prime Minister Modi. "I might disagree with Mr Modi, I might not agree with anything he says, but I would not be abusive of him. He is the prime minister of the country and I will respect that position. However, that cannot be said about him, because the type of language he uses about me and about many other people is very offensive...we will engage with people, but we will also fight them politically," he said. Noting that there is a lot of difference between the philosophy of the BJP/RSS and the Congress, Rahul Gandhi said women are not allowed to go in RSS and cannot even enter their organisation. "They have no place in their organisation. 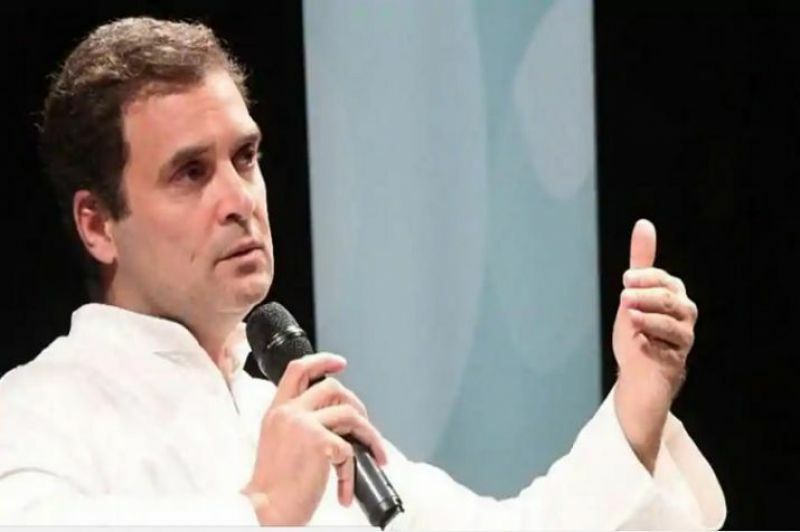 Women are treated as second-class citizens there," he said, adding that while they talk about women one does not see women in their organisation while there is no such discrimination in the Congress. Gandhi said there is need to change the mindset towards women in India and it is everyone's responsibility. "In India, the treatment towards women on the street and in home, there are a lot of shortcomings. It cannot be rectified merely in a political way, it can be done by changing the mindset and that is everyone's responsibility," he said. The Congress chief said he wanted the women reservation bill to be passed in Parliament and wants to see women in a leadership role within the party. Taking on the BJP-led NDA government, Gandhi alleged while long speeches were being given and hatred was being generated, farmers continued to commit suicide and youngsters were unable to see a future for themselves. "The mood in the country is very divisive. There is a government which is trying to impose a particular ideology in the country and we are fighting that," he said. "We want India to go forward and you will never hear of any Indian spreading hatred or anger anywhere. This is our culture, this is your culture," he said. Gandhi said the country's competition was with China and jobs would either go there or come to India. Gandhi also noted that his thoughts emanated from those of Guru Nanak Dev, the first Sikh guru, and thanked the members of the Indian community living in Germany, many of whom are from Punjab, for supporting the Congress and helping the party form government in the state. The Congress chief also mentioned that a German MP had told him that Europe's strength was unity in diversity. "I thought, you are saying this, we have been speaking of unity in diversity from the times of Guru Nanak. Our strength is listening to everyone, even the weakest, the poorest person. Every Indian religion talks about helping the last man in the line," he said. Gandhi also cited the "langar" concept in Sikhism, which follows the philosophy that no one should go hungry, no matter how weak or poor. "The work Guru Nanak used to do, we work on the same philosophy," he said. He also spoke of alleged corruption in the Rafale deal, accusing the prime minister of favouring a "businessman friend" who had no experience in manufacturing aircraft. Gandhi, who was on a two-day visit to Germany, later headed to the UK.